Tucked away between the more well-known Devon cities and towns, in the rolling hills of the countryside, you will find a number of stunning and secret Devon villages that deserve some recognition. They make amazing holiday locations, well worth a visit when in the area. 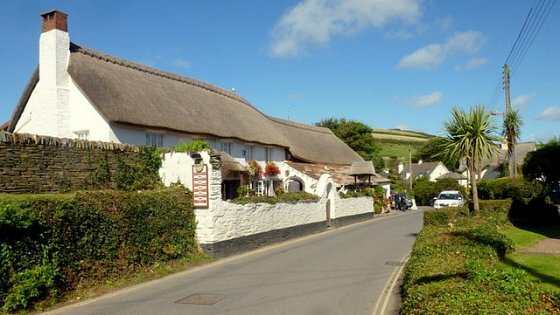 Some of these 15 must visit villages you may have been to before and others may have completely passed you by, but they are all worth seeing to be able to take in the true beauty of Devon! 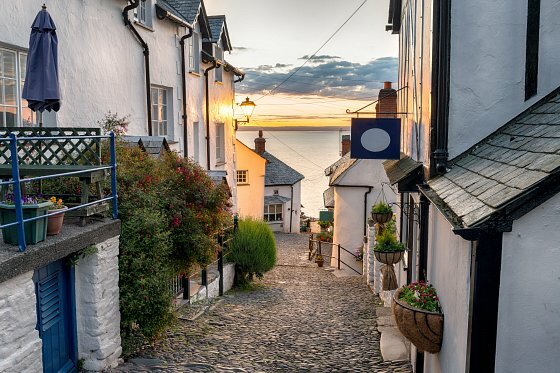 Coastal villages don't come any more picturesque than Clovelly. 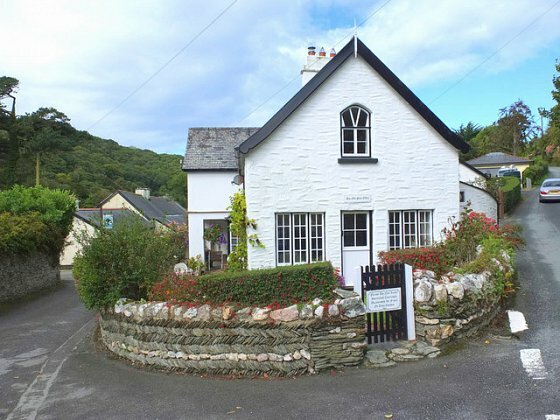 Nestled in the hillside, it's full of charm with its cobbled streets and historical feel. No cars are allowed here due to the houses and narrow paths tumbling down 400 feet to the harbour. Historical cottages open up to reveal the stunning views and beautiful turquoise ocean. Donkeys still live and thrive in the stables, making an appearance in the village during good weather. It's a snapshot of a bygone era when they used to transport items through the village. To visit this lovely village there is a fee to get through the gates although this entry price goes towards the upkeep of the village along with access to the visitor centre and the attractions. With plenty of activities and wonderful shops, this really is a place that can not be missed. There are excellent choices for delicious, fresh, local food. Other notable sights are the Kingsley Museum and The fisherman's Cottage. Clovelly stands the test of time as a real hotspot of heritage and provides a great day out. You will want to take endless pictures of the picturesque fishing village to remember this completely unique place. A classic and quiet picture postcard village that's a secret gem in Dartmoor. Lustleigh Cleave is a steep-sided, tree-covered valley which has the River Teign running through it which makes lovely walking territory, attracting hikers to paths that go along a ridge which has spectacular views over Dartmoor and the surrounding countryside. The village orchard is used as a venue for a range of events throughout the year, home to the very popular and famous Lustleigh show. The village also thrives with May Day celebrations which feature the rock in the picture above. Inscribed on the rock are the names of the May Queens crowned each yeah since 1954. The throne dates from 2000 when it was cut from quarry stone. Plus there's a beautiful old church with fabulous stained glass, The Cleave Public House which offers food and drink, The Primrose Tea Rooms with cakes and lunches, a pretty green, thatched cottages and stunning summer gardens. Lee is a tiny village tucked away on the coast, roughly two miles west of Ilfracombe. Bordered on three sides by rolling Devon countryside it opens up to the Bristol channel. There are around 100 properties which make up Lee, surrounding the narrow inland roads and country walkways. They're situated in a deep valley which is heavily wooded in places, making the village a perfect place to walk and explore. There's a little rocky cove here. Lee Bay is a refreshing change from other beaches as it remains untouched by the hand of time. At low tide in the height of the summer it remains a tranquil spot with many rock pools and a small sandy beach. For people who like to hike, there are multiple splendid walks which stem from Lee village. Most are well signposted and vary in type and length. A rewarding way of experiencing the natural outstanding beauty of the area. Croyde beach is a surfer and sun-bathers paradise. Yet the small village itself (set away from the beach) is also a treat and needs to be included in a visit. This popular Devon attraction is visited by many tourists in the summer months. In the centre of it lies the much loved 'The Thatch' Pub plus a range of other shops and restaurants. If your looking for a classic beach vibe then the shops and the people will provide this. Expect ice-creams, surfboards and drinks in the sun. Croyde is also the host of GoldCoast Oceanfest every June when the village gets at it's busiest and it's liveliest. If you don't like the busy party crowds maybe visiting during the main summer months would suit you best so you can truly enjoy the quiet village and it's surrounding countryside. 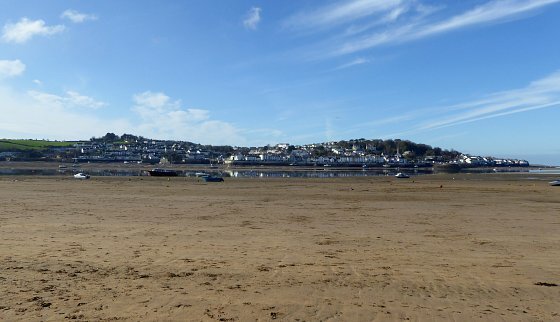 A small village on the bank of an estuary, where the rivers Torridge and Taw run into Bideford Bay, Instow is a popular holiday destination all year round for it's beach. Instow is perfect for whatever your needs whether that be for a quiet day out, an active family outing, bird watching, a romantic walk or to sit and have a picnic. Don't let the rain ruin your visit, why not visit the Waterside Gallery to see works by some of North Devon's finest artists, potters and craftspeople. The estuary beach is ideal for everyone as sandbars protect it from the dangerous swells of the British channel. The Tarka Trail comes through Instow, offering easy access to other nearby and inspiring views. For those looking to relax, there are three pubs from which admire sunsets as the sun drops below Appledore on the opposite bank, casting shadows on the anchored boats. 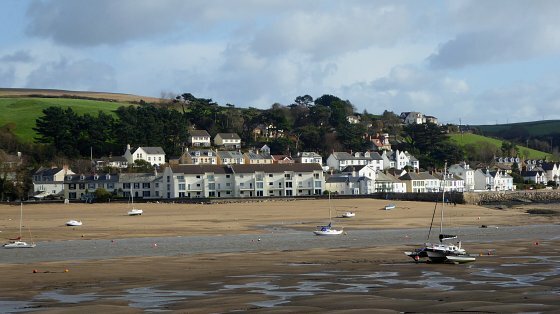 The village of Appledore sits opposite Instow, with just the tidal waters between them. Whilst Instow has the beach, Appledore is bigger and also has regular events scheduled throughout the year - plus there's a rich history of fishing. Characterised by it's winding narrow streets and colourful houses, Appledore is built on a tradition of fishing and boat building which still continues today. The Appledore Book Festival takes place every September, drawing visitors from across the country and featuring international authors. The Appledore Instow Regatta is an opportunity to cheer on the gig boats as they race along the quay. Or you can even take part in crabbing and beach tug-of-war competitions! Appledore is a great place to find a range of fishing trips too. The quay is the heart of Appledore with a small number of shops and restaurants, you will even find a famous Hockings Ice Cream. For people who wish to feel like a hobbit in the Shire, Cockington is the place to visit. Take the opportunity to walk back in time along the narrow lanes, lined with thatched houses that are quintessentially English. While in Cockington you will discover the water mill and forge hidden away from the rest of the world, and the Cockington cricket pitch was once a medieval deer park. So there is plenty of history in and around the area. Just a short distance from the English Riviera, Cockington is a quiet retreat away from the main crowds and attractions of Torquay and Paignton. Ideal for those who want to escape and forget the world. The famous Woolacombe! It's not just a beach, it is also a thriving village which has a huge amount to offer those who are visiting the coastal retreat. The beach in Woolacombe is spectacular. It has won Trip Advisors best beach in the UK award two years in a row. There are three miles of beautiful golden sands to walk, open blue seas perfect for swimming or surfing and awesome views along a selection of walking routes. It is the village itself that makes a visit here worthwhile. There's community spirit and the locals are friendly and welcoming. 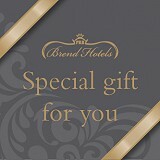 The shops range from local and specialised to national brands. Woolacombe is a stereotypical tourist seaside destination, expect buckets and spades, crazy golf, ice cream stands, fish and chips and lots of surfers. There are lovely places to dine, some with sea views. Although it can be busy during the prime summer season, Woolacombe is definitely small and quaint, even when simply grabbing an ice cream before heading back onto the sand. Widecombe-In-The-Moor's name literally gives away its location. It is set in Widecombe Valley - as deep in the moors as you can get. 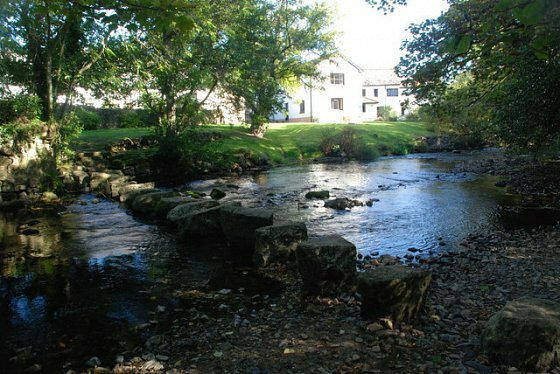 There are less than 200 households within the village but yet it is still well known and a must-see for those looking to explore the Dartmoor area. 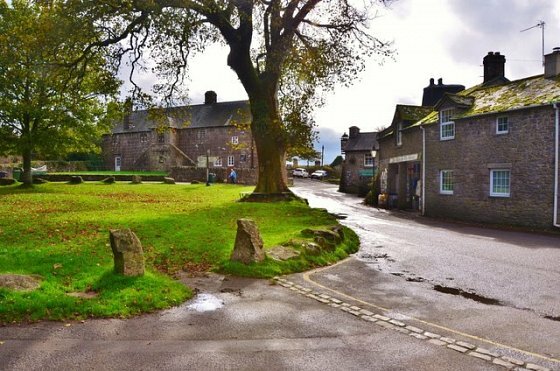 Widecombe-In-The-Moor has an annual extravaganza Fair and throughout the year there are tea rooms, shops, pubs and a gorgeous setting where wild ponies, sheep and cattle visit the village green! The scenery surrounding the village is simply stunning, especially when driving down the very steep hills. This place is a walkers and sightseers paradise. There are many artefacts around the village that the locals will help you hunt down. Then there are also the moors right on the doorstep. It's probably best to pick a direction and simply just stroll to see the sights. For those looking for something more unique, take a Dartmoor Llama Walk to be shown the area with the llamas and a guide by your side. Hartland is the general name given to the headland near the North Devon and Cornwall border. Hartland Point is on the heritage coast, popular for it's jagged and dramatic cliffed shoreline. Imagine the big waves crashing into the rocks, spraying water into the air. Imagine dramatic walks and sharp drops to the sea. 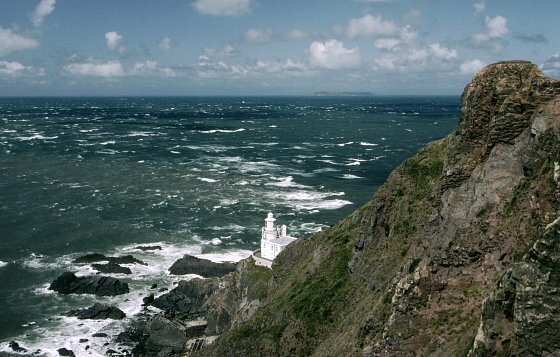 A historic lighthouse (pictured) overlooks a site where a boat once crashed into the rocks below. Hartland Point is a sightseers and nature lovers paradise. There is also Hartland village to explore. It is a remote but is packed with charm and has little craft shops and potteries alongside cafes and restaurants. There's a long main street, with classic cottages, leading to the town square and the church of St John. Not far away is Hartland Quay, commissioned in 1586. It became a busy port shipping coal, granite and various farm produce until the end of the 19th century. Sadly nothing from the original quay remains but there is a museum and a shop. For hikers, start from the Quay and follow the coastal paths to reach the waterfalls tumbling into the sea. Finally, nearby is Hartland Abbey was built in 1157 and is also definitely worth a visit. A much loved and popular destination on the south coast, this Devon village is a picturesque fishing spot which also has a family-friendly shingle beach which is all surrounded by limestone cliffs. Close to the town of Seaton, there is something special about Beer; it's got that seaside feel without it being too overwhelming. Once a smugglers haven, today it is specially designed for boats to be launched from the beach by skilled fishermen and visitors can take mackerel fishing trips. There are popular coastal walks in and around the area including the South West Coast Path and along to Dorset and the East Devon World Heritage Coast. 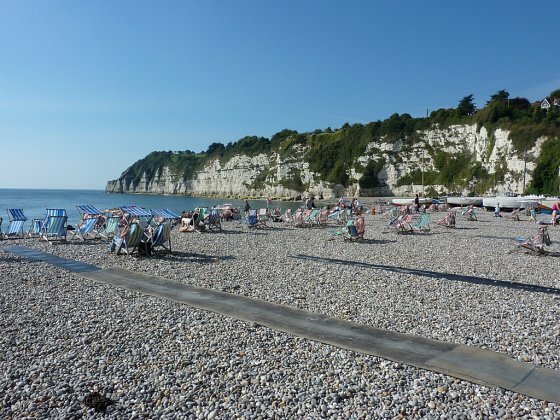 If being underground is too much, then simply spending time on the lovely beach and in the sea on a sunny day is a wonderful pleasure at Beer. Shaldon is an unspoilt village that is loved by visitors because of its beauty and its thriving community. Like with many places in Devon, many Shaldon families are still linked to the fishing industry, therefore the village is an array of bright boats with a great beach and easy access to calm waters. 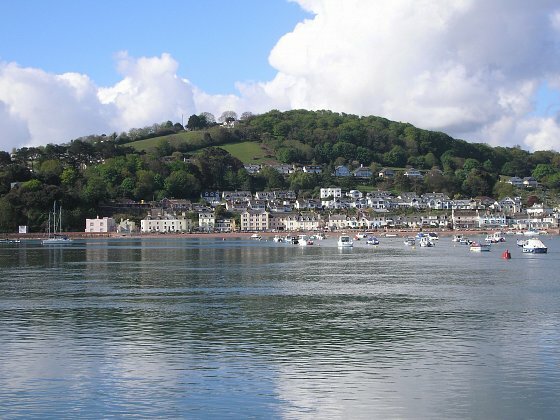 Shaldon also has a great range of local shops and attractions, plus it is an ideal place for a relaxing day out. It isn't as commercial as other locations but it is perfect for experiencing real Devon life first hand. The beach is blissfully ideal for swimming, sailing, rowing, paddling and rock pool exploring. Who knows what you might find? Maybe some crabs. For something away from the beach, travel to Teignmouth on the oldest passenger ferry in England, where there are places to eat and drink alongside traditional seaside entertainment. But for most, a quiet picnic in Shaldon itself is a great way to waste away the day. Shaldon is based on the South West Coast Path so there are many walks from the village to other beautiful locations with views of the coastline. There is also a Botanical Garden, a golf course with sea views and a zoo for the whole family. Shaldon Zoo is small but has a wide range of primates along with small mammals and birds. Dittisham is considered by many to be one of the most attractive villages on the south coast of Devon. 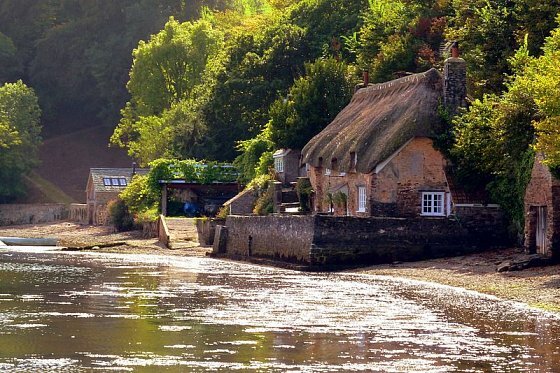 It's small, unspoilt and sits on the banks of the River Dart, often overlooked as it lies just just two miles from Dartmouth. A passenger ferry is available to take you down to Dartmouth if required but only if you can pull yourself away from Dittisham itself. Once considered the biggest village in England, locals still cling on to this idea and state it proudly even if it is not true anymore. 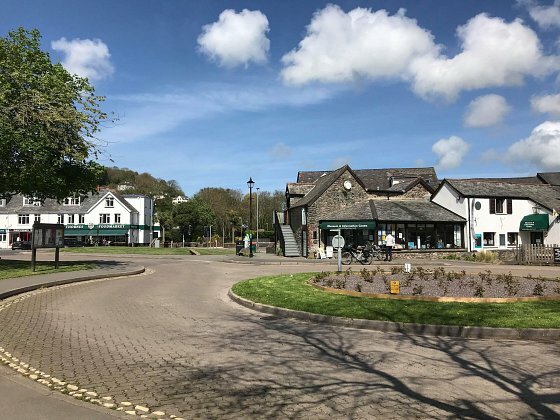 If the nearby town of Barnstaple is considered the capital of North Devon then Braunton must be it's heart, acting as a gateway to the key beaches and attractions. 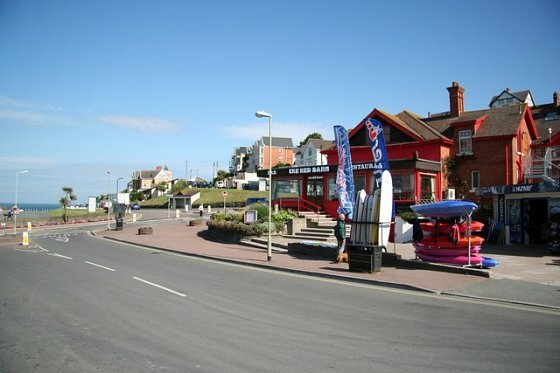 The actual village of Braunton has a thriving centre with Squires, an award-winning fish and chips restaurant, in the middle. There are stone baked pizzas, other tasty places to dine, surf shops, charity shops to grab a bargain, a bakery and many more shops. From the centre, there are an abundance of walks and hikes to enjoy. Take the famous Tarka Trail on foot or by bike to enjoy the scenery. Then by car it's just a short journey to the 4 mile stretch of golden beach and surf hotspot at Saunton Sands. Drive a bit further to reach the previously mentioned Woolacombe, Croyde and Lee. Also don't forget Braunton Burrows, a Nature Reserve consisting of rolling sand dunes that seem to stretch for as far as the eye can see. Wildlife thrives here, plus there's a golf course before the burrows open up onto the beach. Yet another sweet little Dartmoor village, this time it is on the north east edge in the centre of Devon. 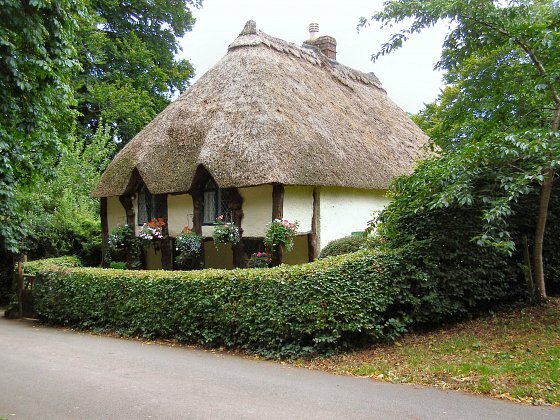 As with anywhere on the moors, Dunsford is in gorgeous rolling countryside and is well known for its pretty thatch, cob and moorstone cottages. The village sits on top of the Teign Valley, on the side of a wooded hill which slopes down to the river for lovely views. 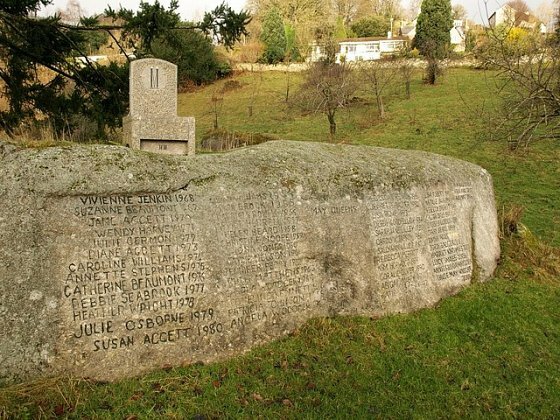 Dunsford is fairy quiet, which is a wonderful reason to visit for those looking to embrace the remoteness of Dartmoor. There's a school, pub, a swimming pool, a few shops and a sports field. But a visit here is not complete without seeing the nature of Dartmoor. Nearby Dunsford Nature Reserve is worth exploring, especially in the spring when the bright yellow daffodils command the scenery.